IT'S TOFFEE'S TURN: Why is Najib so silent about Islamic issues in China and America? Why is Najib so silent about Islamic issues in China and America? Can Najib do the same thing he did to Myanmar to the China and the US? Is the fear that he will be exposed as a two timer the reason he is not taking a stand on Trump? 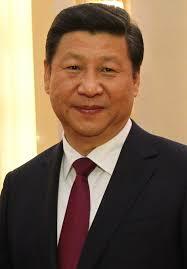 Is it because he is afraid the Chinese will withdraw all support for him, the reason he is afraid to take on China? in condemning Myanmar over the Rohingya issues. The Rohingya people as the whole world world knows, are Bangladeshis and even today Bangladeshis take to the Rakhine State, in Myanmar to claim to be Rohingyas in an attempt to seek asylum status in Malaysia, but that is another issue. The UN has recognised that these people are subject to Human Rights violations and they are, so to champion their cause is right and of course noble because no people must be subject to human rights violations. Najib championed their cause even to the ire of the remaining ASEAN members as it was against ASEAN principles of non interference in the internal affairs of another member state and he did not give a damn and it was a right move for the wrong reasons, he did it not because he cares about such issues, he wanted to drum up support for his fledgling unpopularity especially among the rural Malays. He did this together with Hadi Awang at an event mooted by Hadi and PAS. Now was this really what he intended t do or was he on a political mission to seek popularity by stirring religious sentiments? Najib as we al know is increasingly trying to up his popularity by playing the religious card. 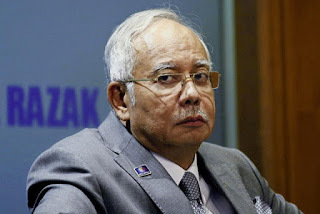 Najib was no way interested or committed to the Rohingya cause nor the state, all he was interested in was the political mileage he had set out to attain it and so the big Wayang, the Serbanika, the big show. If Najib was really a just man looking for justice why did he not hold similar rallies against the ISIS when they murdered Christians, Yazidees and non believers including Shia Muslims in the middle east? He did not do that because he was well aware that the ISIS was actually a force funded by the Saudis, his great friend Obama and Erdogan of Turkey to fight the Syrians. 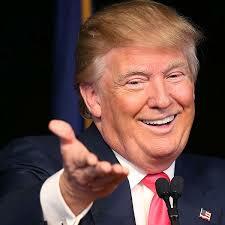 He was in the team that wanted to get rid of Syria's Assad, after all that was what the Saudi's wanted as the Saudis wanted to be the head of the Sunnis, to them non Sunnis had no place in the middle east, even Sunnis who posed a threat to them had to be removed and so cleverly with the help of America they got rid of Saddam Hussein and Gadaffi and now they were actually allowing and continue to allow the ISIS to control Iraqi Oil to fund their purposes. They set up ISIS, ISUS did not suddenly appear in the middle East if they did it would have been the greatest miracle of recent times, but miracles have stopped happening in the Middle east fora long long time now. Well you may excuse Najib for not condemning ISIS after all they are of the same stock as him, and so he can be excused for keeping quiet, after all they killed Christians and Yazidees so no problem, whilst in Europe and America Christians, Church groups take to the streets to fight for the rights of Muslim refugees, whom Saudi Arabia and the remaining Islamic countries of the Middle East will not have, but let us turn our attention elsewhere and see how sincere Najib really is. China has they Uighur problem, in the area China now calls Xinjiang Autonomous Region. This region borders Mongolia, Russia, Kazakhstan, and Kyrgyzstan, and it is currently China's largest natural gas-producing region. The Uyghur's may not have a legitimate claim to a Uyghur nation but nevertheless it is an Islamic state problem. not Han Chinese people, China has sent in many Han Chinese to these areas and China has controlled this area for a long time taking it over actually from the Mongols, but the ethnic people of this region are certainly not Han Chinese and are made up of people of mixed stock including Indo Europeans, Indo Persian stock, Europeans of Russia origin, Turks etc. and all are predominantly Muslims. They do not accept China's right to the territory and the Uighur have been fighting for their own land for a long time but have received little or no support from the Muslim world including Malaysia. In fact I had written about his much earlier in this blog and I was not wrong in assuming that Malaysia was afraid of China on this issue, this is one Muslim issue that Malaysia has never raised with China and the Muslims in Malaysia must ask Najib why? If the Uighur's are wrong in making that claim Malaysia must offer to mediate to bring the whole issue to a peaceful end, but knowing China, China will not have it, they prefer to settle their own internal issues the way they think best. The question is; has Najib raised this issue? The Uyghurs ere also brought into the lime light in the MH370 investigations initially. To the answer the question the fact is he never did, raise this issue and even if he did behind closed doors it is most likely the Chinese would have told him to mind his own business. NOW TO THE QUESTION OF WHAT IS NAJIB'S STAND ON TRUMP'S BAN ON MUSLIM IMMIGRANTS FROM SEVERAL MUSLIM COUNTRIES IN THE MIDDLE EAST. This is the most interesting of all, because I think and in fact I know that Najib supports Trump's move in banning Muslim's from these countries, not by choice but rather by circumstances and he is feeling very uneasy about it, he is being forced to support Trump because he brought it on himself by his own actions and that of his cronies. But why should he feel uneasy about it, that he is forced to support Trump's move. He can do it , he is dying to do it but he just can't and why? How can he when in his own country he has used the offices of the heads of Sarawak and Sabah from restricting the movement of of Malaysians to these states, and many of them are Muslims too, but when you restrict the movement of people within your own country, how do you go and tell a government or a President that stopping foreigners he chooses to stop from entering his country is wrong? He can't because the US is a nation by itself and it has every right to decide who can come in and who can't, just like Malaysia can and just like Malaysia does. But who is Najib to go and yell at Donald Trump and the States when in his own country, he uses his cronies to prevent the movement of opposition Parliamentarians and other citizens freedom of movement from one state to another? On the same token the Saudis and other Gulf states have chosen to remain quiet, they remain quiet because they realsie that they themselves do not want these Arabs in their states and refugees, they had a bad experience with Palestinian refugees in the past, and they do not want a repeat. The refugees also do not want to be in the middle east because of the tyrannical regimes in these Muslim countries, and so they choose to go to Europe where they perceive life is better and it certainly is, but togethegr with them come comes hoards of radical Islamic terrorists hwo will terrorise these bona fide refugees into adopting radical means to destabilise the countries that host them and that is the truth. To add insult to injury and instead of welcoming these Arabs the Muslims of the Arab world namely Saudi Arabia and the Gulf states are promising billions to build mosques in Europe for these fleeing Muslims, why mosques is that the priority? If it is then I think they should buid them in Saudi Arabia and bring them to the empty luxury tents they have in Saudi Arabia to house these refugees. What Trump is doing is internationally acceptable, refusing foreign nationals entry into your country is your right (but this is morally wrong, no human being who is running for fear of their lives should bee used as a pawns for ones own agenda as in this case by Donald Trump the entire world must rise up and condemn this in no uncertain terms) Najib's government has banned foreign journalists from entering Malaysia, it is alright that is the right of the country, so too with Trump and who he decides not enter the USA, but Najib has no right constitutionally or otherwise to bar Malaysians entry from one state to another just because of their political beliefs and he has done it, just to safe his own skin. So if any of you think Donald Trump and i sincerely think he may be, remember one thing Najib and hsi band of middle eastern sheiks is the badder guys.